I am extremely delighted to share with you this wonderful tool which we have developed after carefully considering multiple feedbacks from our clients, from the community and understanding the pain points and limitations the users faces in OOB CRM & SharePoint integration. Thanks to my team members Sakthi(https://in.linkedin.com/in/sakthivadivel-kuppusamy-102b7718), Rajesh (https://in.linkedin.com/in/rajesh-m-5296a910a) and Chandana (www.linkedin.com/in/chandana-kommuri-1b481848), without whose contributions this tool would not have been possible. So enough of words. What does the tool do? Well to summarize, the tool does the below for you. Upload up to five files at one go along with the option to enter metadata for each file. The tools comes as a managed solution and once you install the solution, go to Settings –> Manage SharePoint Configurations. The section above asks you to register a SharePoint user. Here you should enter the credentials of the user who has the privilege to create and edit metadata in SharePoint. Don’t worry about the password. It is encrypted and stored securely in CRM. Once done the below section comes up. Select an entity from the dropdown. 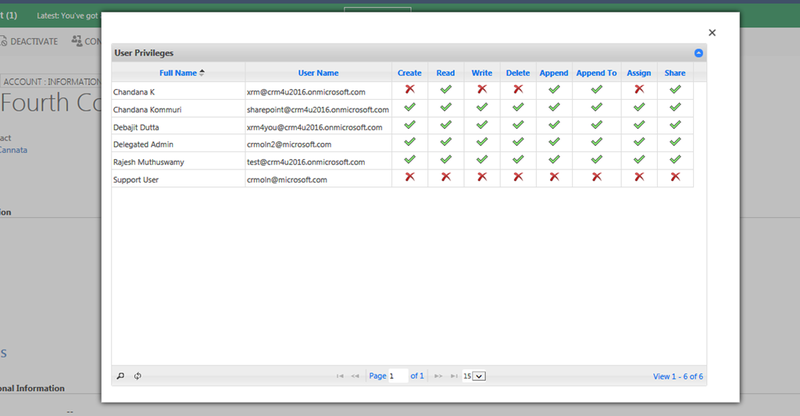 Please note that only the entities which has been enabled for CRM-SharePoint integration OOB is being shown here. Select the entity you want to configure for. I select Opportunity from the list. Check – ‘Enabled for embedded view’. This basically means you want to show the sharepoint section that comes with the tool in the opportunity forms. Select the form or forms on which you want the sharepoint section. I have selected ‘Opportunity’ Form. Click on Save. System will show you a popup that the process has been initiated. The process has been kept asynchronous to actually improve the user experience. However you can see the status of the process from the ‘Sharepoint Triggers’ section of the menu. Status of ‘Success’ indicates that the sharepoint section has been successfully placed in the Opportunity form. So far so great. Now let’s go ahead and create some Metadata in Sharepoint for the Opportunity entity. I will click on the ‘Add Icon’. And I get the form to enter new metadata. Metadata Type – This is an important one. It basically gives you the flexibility to limit the metadata values to a restricted list or a free text when the user uploads a file. If you want to restrict the user to a list of specified values, then choose – ‘Map to Existing Values’. If you do this, it would ask you to select a global optionset item in the section – ‘Map Metadata Values To’. And when the user would be uploading a file, the values that the end-user would see are the values specified in the optionset. This gives you the option to dynamically add/ remove values by changing the optionset values. If ‘Write-In’ option is selected, the user gets a free text to enter upto 255 chars. 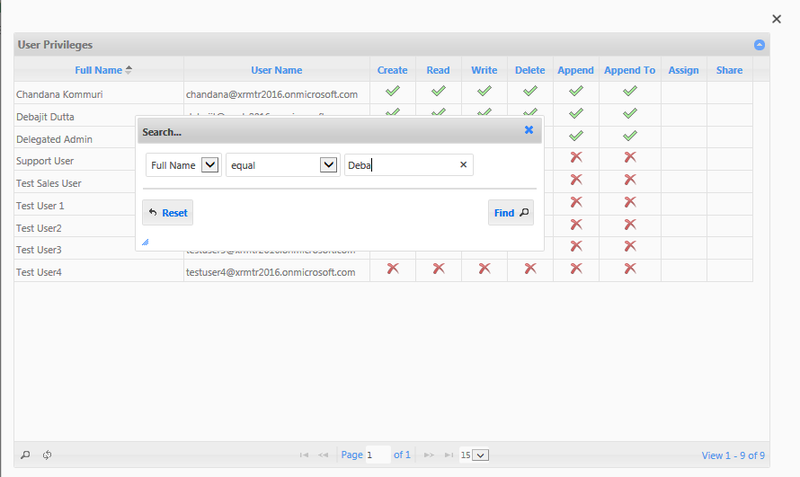 Show In CRM – If you check it, the metadata would show up in CRM while you upload and also in the list. Document Notes – A write-in metadata. You have the option to edit the metadata as well and change metadata type. You can add up to five metadata per entity. All done in configuration? Well I have left one option unexplained and I will come back to that later. Now lets go ahead and open an opportunity record. You should see a section like this below. This is a custom component that is being inserted in your form. We are not using the OOB UI for this. If you observer carefully, apart from the regular columns like Name, Modified By, Modified On and Path, the two metadata fields – ‘Document Type’ & “Document Notes”. And Yes, this is Dynamic. The more metadata you add or delete, it will be reflecting it from the next time. The first thing I do, is select ‘Upload’. Once you do that, the user would be presented with a popup from where the user can upload up to five files with the associated metadata. I upload two files. And select the appropriate metadata. And here you can see the difference between Mapped Metadata and Write-In Metadata. Once I upload, the files are shown in the grid along with their metadata as well. You have an option of editing these files and overwriting the file content and metadata, keeping the file name same. For that simply click on the ‘Edit’ Icon at the end of each row. The next option that I will explain here is the ‘New’ menu. Please note that this menu is only available in case of integration between CRM Online & Sharepoint Online. For on-premise environments, this menu won’t be available. Using this menu, you can create any word/ excel/ ppt/ one note file as as soon as the file is created, it will open in office online where you can edit the file and save it. You have the option of deleting more than one file. Clicking on “Open Location” link, you can open the folder in sharepoint where documents are stored. You have the option to search as well, which behaves exactly similar to the search in the OOB SharePoint – CRM configuration. I search for *error. 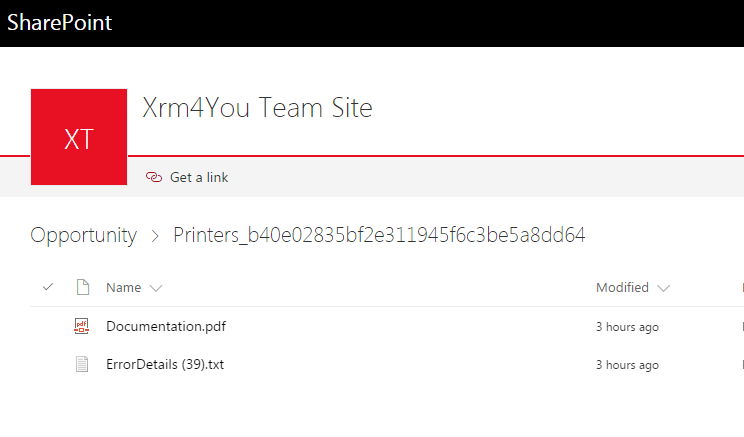 The search gets performed in SharePoint just like OOB. 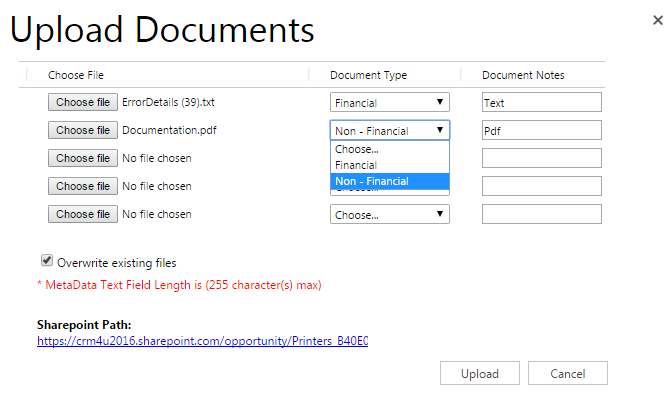 Another feature the tool provides is the option to automatically move your attachment uploaded to the notes section to Sharepoint. 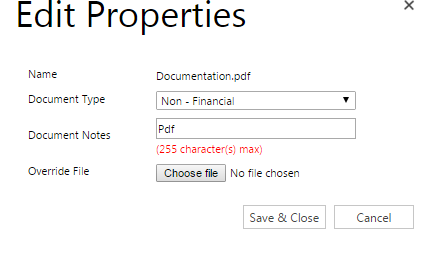 Additionally you get an option to delete the document in CRM once uploaded to Sharepoint. So let’s explore that. This is the setting by which you can configure to automatically move attachments from Dynamics CRM to sharepoint the moment the file is attached to the records of the entity in CRM. 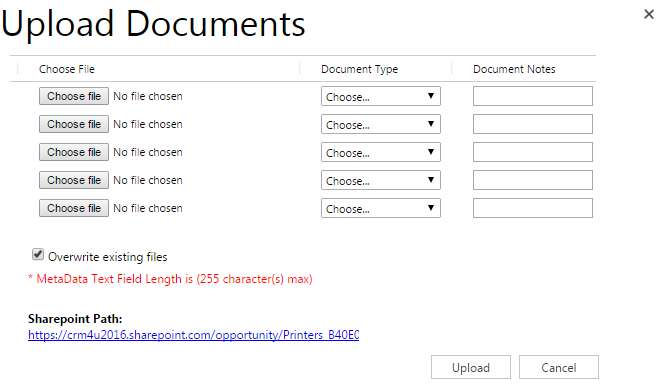 For Example : If the above setting is enabled for “Opportunity” entity then whenever an user attach an attachment for any account record then that attachment will be automatically move to SharePoint and the file will be showed in the SharePoint attachment section on the form(s) of the entity. Once the above setting is enabled then there will be another setting “Delete attachments in CRM once moved to CRM” available to configure. 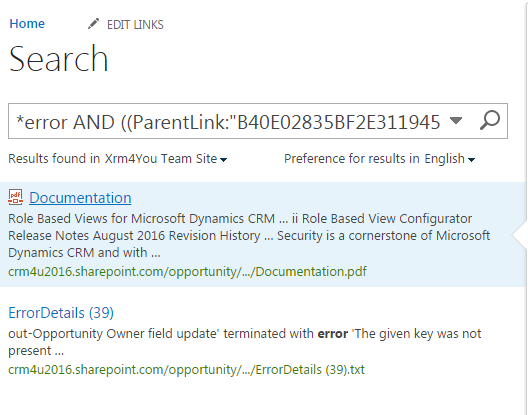 Delete attachments in CRM once moved to CRM : This is the setting by which you can configure to automatically delete the attachments from Dynamics CRM once the file attachment is moved to SharePoint. 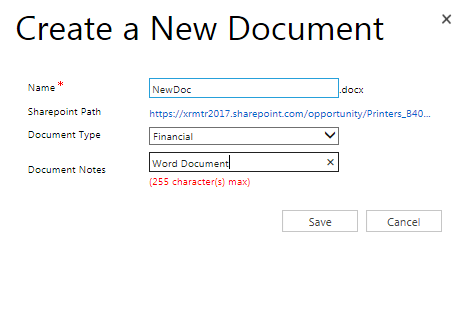 Now coming to opportunity, I have uploaded a file in the Notes section of my opportunity record. 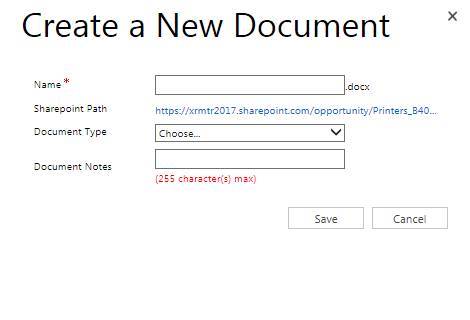 Since I have chosen the option to ‘Migrate’, the document will move to sharepoint and the record would be deleted in CRM after successful upload to Sharepoint. 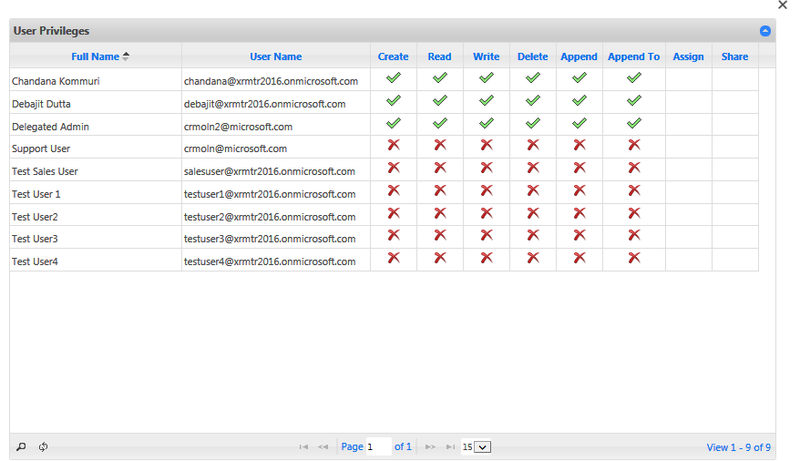 The sharepoint section provided by the tool behaves in conformance with the privileges the user have on the record. For e.g – If the logged in user does not have delete privilege in CRM for the record, the user would not be able to delete documents for the record. The delete option would not be available to the end user. In the screenshot below, I have logged in as a user who does not have delete and write privilege on the record and hence as you can see, there are no options available in the Sharepoint section as well to delete and edit the documents associated with the record. All the user can do is download the files by clicking on the same. Hope you have liked this tool.